If you have a sporty spirit and you would like to have a relaxing couple of hours at sea, far away from the crowd and commotion of the busy resort life, then Turunc Fishing Tour is exactly what you need. 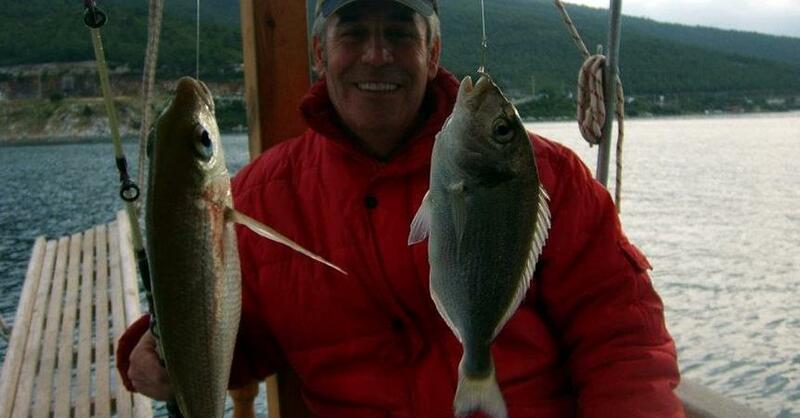 Turunc Fishing Tour is organized once a day, departing from Turunc at 08:30. Every tour starts with a pick up from your respective inn in Turunc, followed by a brief ride to the Marmaris port. At the port you will board our fishing boat. 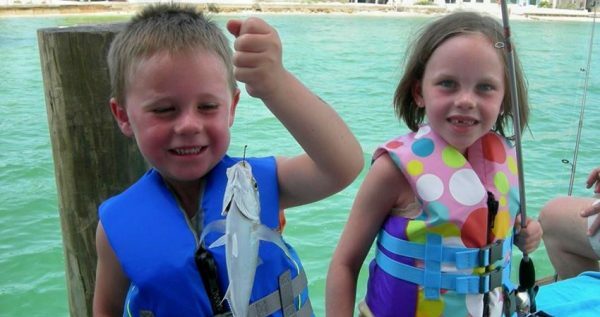 This special boat is equipped with fish locaters so it is perfect for fishing tours. 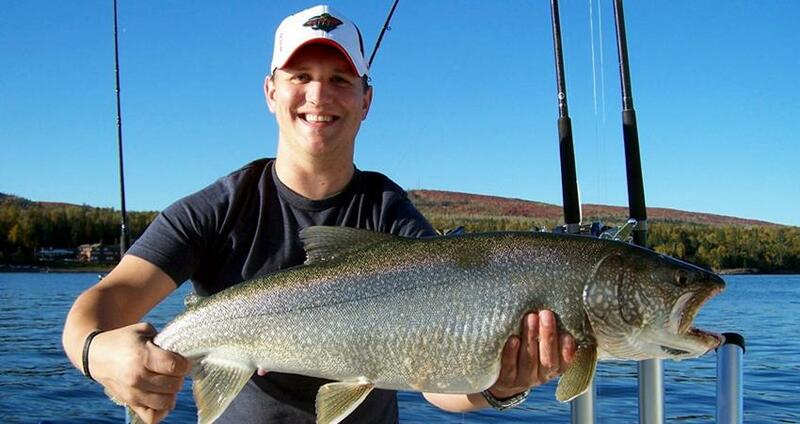 The boat is 12 meters long, and it offers space for 12 anglers. Once you are on board, the journey can begin. Best fishing locations are just half an hour away from Marmaris’s coast so you won’t be bothered with lot of travel. The fishing part of the tour will last three full hours, so you will have plenty of time to enjoy your favorite sea-activity. 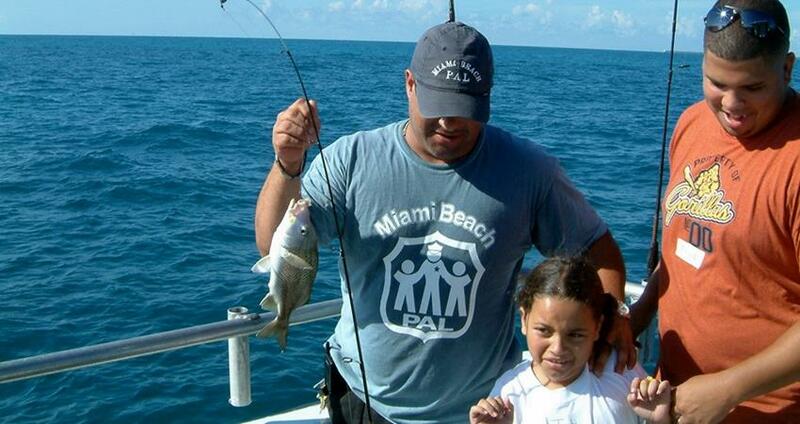 If this is your first-time fishing, you will have your boat’s captain to lean on, as well as the fellow fishermen. 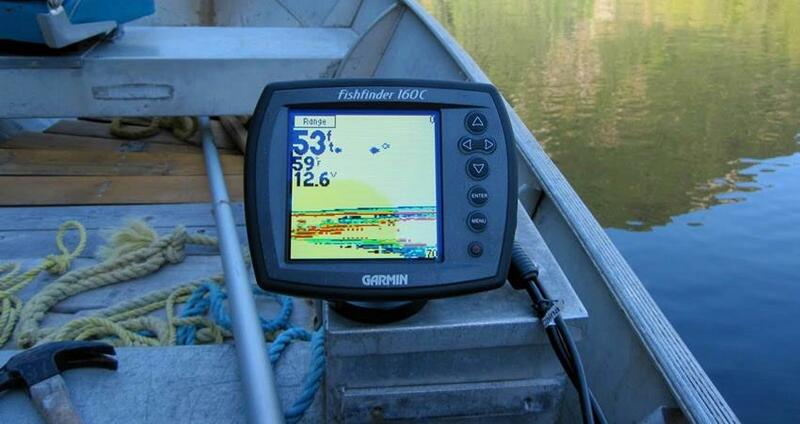 Proper rods, and baits will be provided to you once you start fishing, so you don’t’ have to worry about anything. 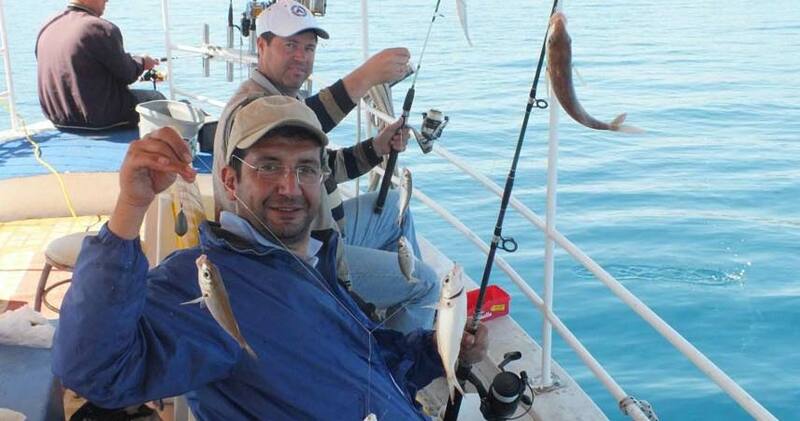 Turunc Fishing Tour price includes hotel transportation services, rods and baits, full insurance package, useful instructions, and an English-speaking crew. There are also no restrictions when it comes to age. All kids are welcome to do fishing. If you have friends or family who would like to go with you, but don’t want to fish, they can come as well. 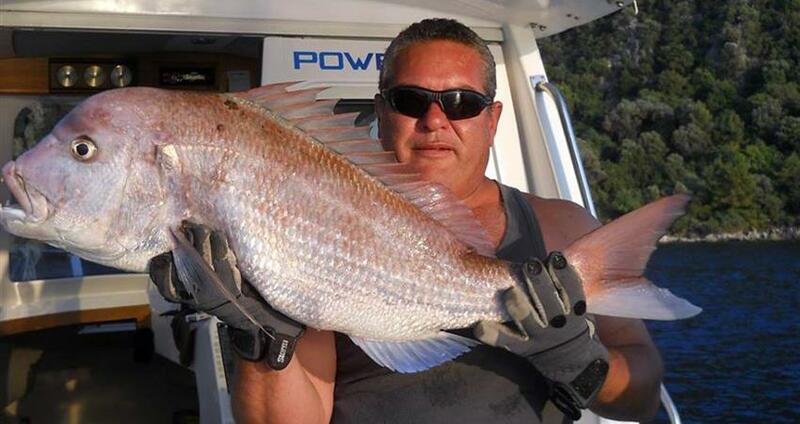 The guests who don’t fish will be charged half of the fee. We strongly advise all of our guests to take their cameras with them, so they can take some great pictures of the Turkish coastline and their catch of course. Since you will be fishing from our sunny deck, make sure to also take your hats, sunglasses and sun-creams with you. 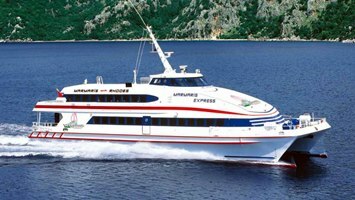 Once this wonderful Turunc Fishing Tour ends, and we reach the port, our driver will come to pick you up and drive you back to center of Marmaris where you can either explore Marmaris or catch a bus back to Turunc. 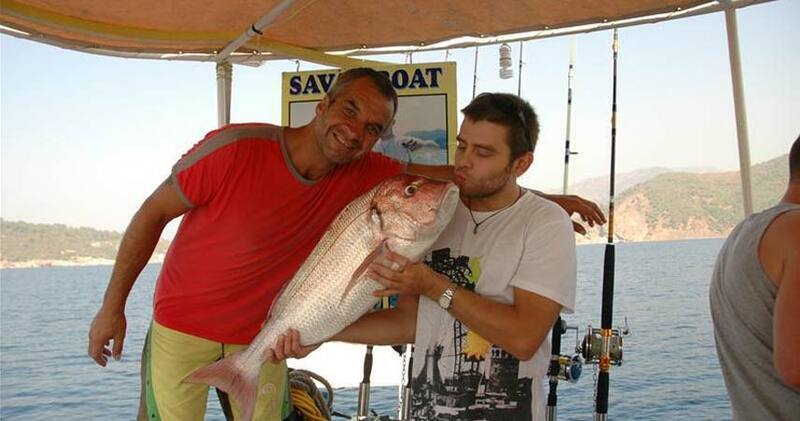 Turunc Fishing Tour starts with a comfy sojourn from your lodgment in Turunc to the nearby Marmaris Harbour. Once we get to the harbor you will board our marvelous fishing boat and our journey can begin. The fishing boat we’ll be traveling on is specially equipped with all of the necessary amenities for a proper fishing tour. Among other things our boat has a fish-locater, which is highly useful on these tours. The boat is also about 12 meters long and it provides spots for 12 angler fishermen. Once you get on board, our smooth sailing can begin. 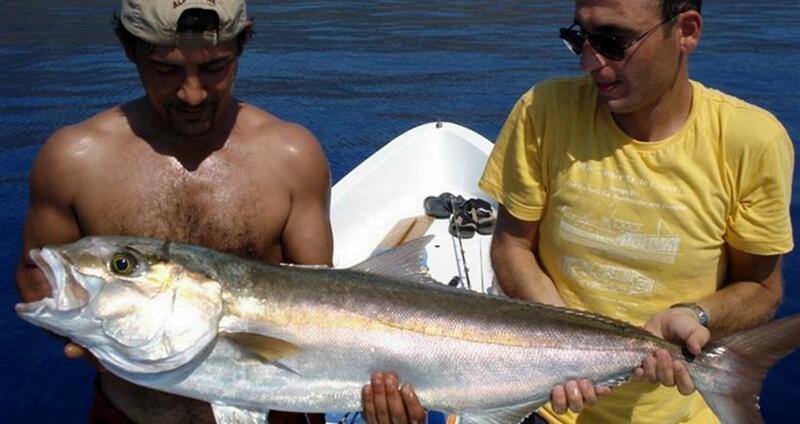 Excellent fishing spots are located just 30 minutes away from the port, so the traveling won’t take too long. The fishing portion will last three hours total. 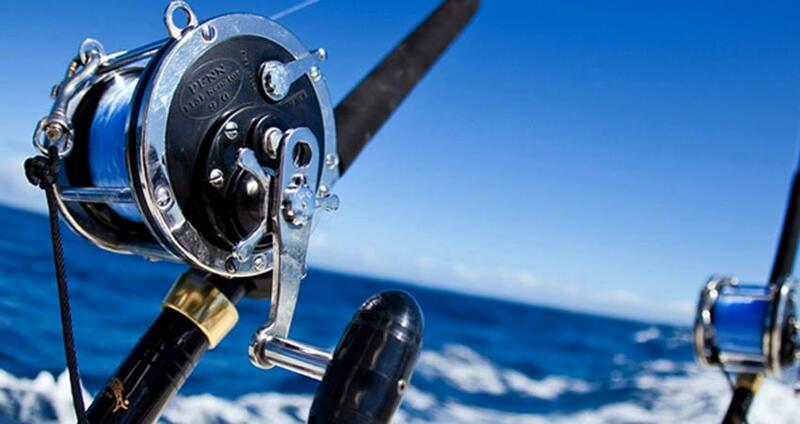 You will have that time to test your fishing skills and enjoy the lovely weather and the serene sea. If you aren’t sure about your fishing abilities, you can always ask the captain of the boat for some pointers. 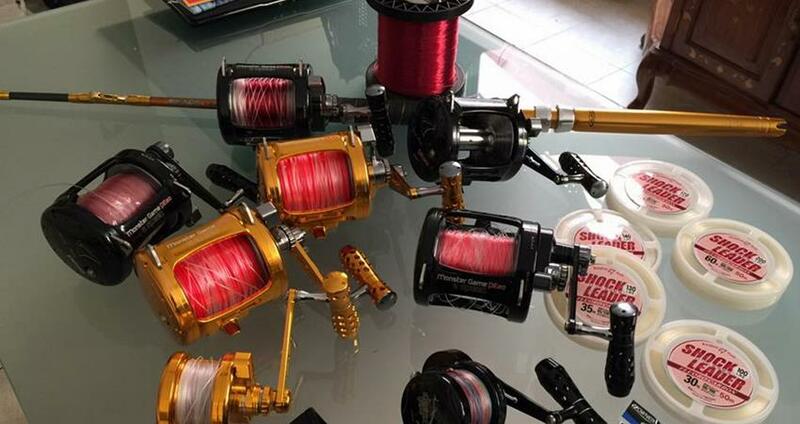 All of the suitable rods and baits will be provided on the boat, so you don’t have to bother with buying your own. We don’t want to bother our guests with extra charges and sudden costs. 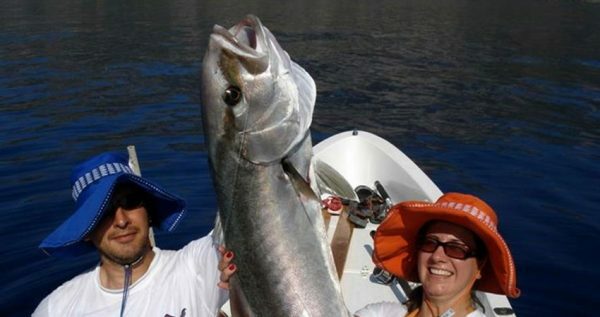 Turunc Fishing Tour price includes full insurance package, hotel transportation service from Turunc to Marmaris, helpful instructions, rods and baits as well as the English-speaking crew. This tour doesn’t have any restrictions when it comes to age of its participants. 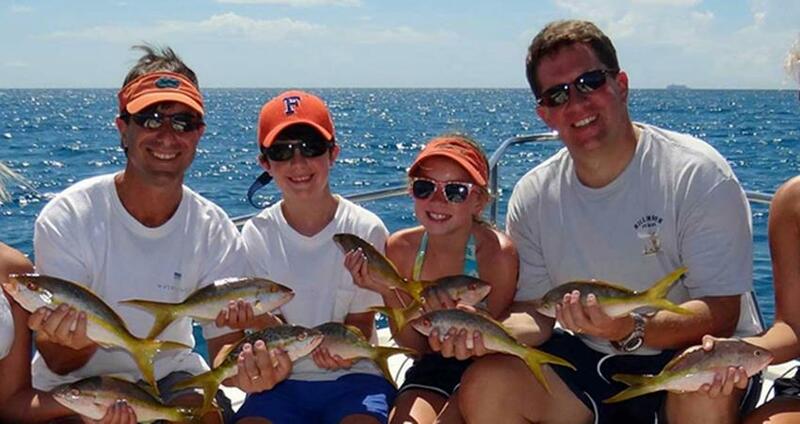 If some of your family or friends want to come along, but don’t want to fish, they will need to pay half-price as well. We recommend that you bring your camera with you. You will get to take some terrific shots of the Turkish shoreline, or maybe take some great pictures of a fish that you might catch. You should also bring your sun-glasses, sun-creams and hats, as you will be spending time on our sunlit deck. Once Turunc Fishing Tour ends, and we get to the marina, you can explore Marmaris or take a bus back to Turunc.